You love investing, and at this point nearly all of your money is in the stock market. You know it’s important to diversify, but aren’t sure if real estate investing is right for you. You might think it requires a lot of money up front, or requires a lot of work ongoing. And while some of that is true, there are new options this year that can make real estate a potential investment for you. Low minimums – depending on the platform you use, you can invest as little as $500 and be an owner in a property. As such, if you’re looking to diversify your investments, but don’t have a lot of money to do it with, this could be a lucrative way to start. RealtyMogul – RealtyMogul offers investors a variety of properties to choose from, including residential, mixed-use, commercial and retail. They don’t charge their investors fees, instead placing that burden on the property holders. Investors can start seeing a return just a few weeks after the project is funded. We are partners with RealtyMogul and think it’s one of the best platforms out there right now. Fundrise – One of the most popular real estate investing sites, Fundrise has a minimum investment of $500 and charges between 0-3% in fees. The site is ruthless about which projects it accepts – only about 5% of proposals are chosen. Fundrise is another one of our favorite sites simply because of the range of investment properties they have to choose from, but also because you don’t have to be an accredited investor to invest – they are one of the only platforms that allows this currently. If you’re curious about more options, we compared all of the major real estate investing sites here. One of our favorite ways to do this online is with Roofstock. You can buy single family rental properties (that already have tenants and cash flow) easily online. The second major downside of real estate is dealing with tenants. You’ll need to screen renters before letting them move in. You’re also bound to hear sob stories at one point or another so you’ll have to learn to be firm with renters. If you’re the type to easily give in to people, you may be better off letting a property management service oversee your rental properties. Either way, there is ongoing work required. Check out this amazing guide to flipping houses with little money down. First you could rent a spare room in your home or you could rent the basement. If you’re yet to purchase your first home and like this idea you could even buy a duplex and live in one apartment and rent the next. The advantages to renting a portion of your house is that you get to watch your tenant closely. It’s less likely that a tenant will try to stiff you for the rent payment when you’re in the same household. Renting a portion of your house also gives you the ability to get a feel for what it’s like to be a landlord without making such a huge monetary investment. 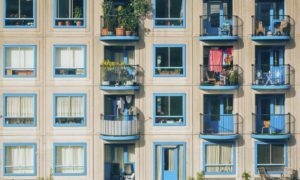 Our friend Michelle recently wrote about renting a room to a stranger, which is a great read if you’re considering this option. Real Estate Investment Trusts (REIT) are great ways for you to invest in real estate without being actively involved. An REIT is a fund that is setup to invest in mortgage instruments, bonds, and stocks in the real estate niche. There are a few different types of REITS; equity, mortgages, and hybrid. An equity REIT invests in properties, a mortgage REIT invests in mortgages, and a hybrid is the mixture of the two. All three typically offer high yields – basically you get paid back from the interest others are paying on their mortgages. If you’re strapped for time, investing in REITs is probably the way to go. You can invest in a REIT at your favorite broker. We recommend both Fidelity and TD Ameritrade. 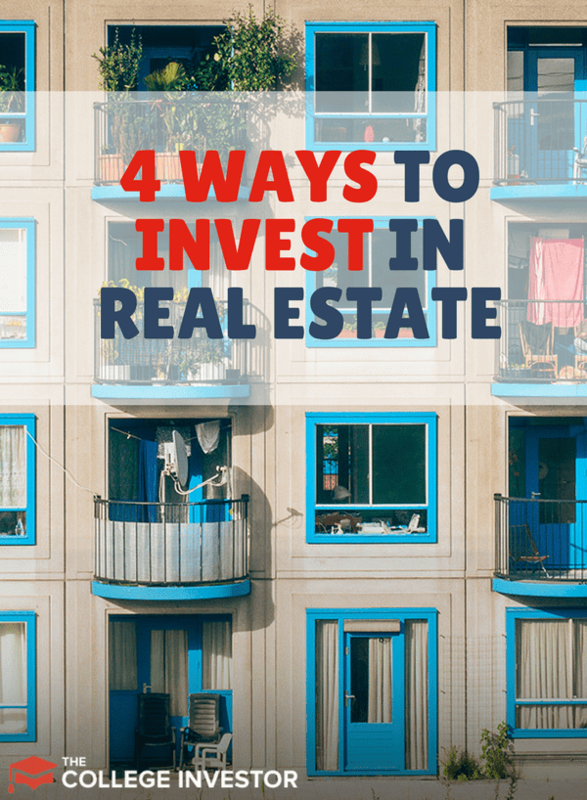 Which of the ways to invest in real estate have you tried?